G’day, I'm Glyn Davis and welcome to The Policy Shop, a place where we think about policy choices. We asked the Productivity Commission to look at what we can do better, and the Productivity Commission came back and found that the current system is unfair. It’s underfunded and it’s fragmented. And they certainly very powerfully made the case that at the moment, access to services is a very cruel lottery. The rollout of the 22 billion dollar National Disability Insurance Scheme, or NDIS, 15 months ago was welcomed by all with hopes it would replace a broken system and improve lives. The project is complex and ambitious, and while thousands of Australians are benefiting from the scheme, many are still not receiving the services and care they need. The NDIS, it’s not welfare. It’s not a burden. This is not my recommendation, it’s not people with disabilities’ recommendations, it’s not even – it’s not the Labor Party’s recommendation. This is a recommendation by the Productivity Commission to make our community, our country stronger, to add to the bottom line. This is a positive net to our economy when it’s funded, and it was never meant to be a political football. And I think that this is no more welfare than your roads, than rail. This is about making sure people with disabilities and their families can contribute to the community. The National Disability Insurance Scheme, NDIS, is the largest social reform Australia has seen in decades. The scheme aims to support around 460,000 Australians living with disability. At full operation disability services funding will more than double under the NDIS to around 22 billion dollars a year, almost the cost of Medicare. The new scheme hopes to reverse Australia's poor track record on disability rights, once ranked last in an OECD study of quality of life for people with disability. In today's episode of The Policy Shop we'd like to talk about how this policy came to be, the roll-out of the NDIS and whether the scheme will improve the livelihood and quality of life of people living with disability in Australia. Joining me to discuss this is disability campaigner, former Chair of the NDIS and former President of Philanthropy Australia, Bruce Bonyhady. Bruce, welcome. Thanks, Glyn, it's a pleasure to be here. Also joining us is Associate Professor of public service research at the School of Business in the University of New South Wales, Helen Dickinson. Welcome, Helen. I'd like to start with the history of the NDIS and how we got there. This is of course an idea with a long history, in fact a scheme not entirely dissimilar to NDIS was due to be debated in Parliament in 1975 when the government fell. Bruce, as one of the key architects of NDIS can you walk us through the history of the scheme and why you decided to get involved? Well I think after 1975 the idea that insurance would form a solution for people with disabilities just fell into abeyance. The disability sector focused on disability rights and in many ways some great advances were made. But while these advances were happening, there were powerful demographic forces at work which were leading to people with disabilities leading much longer lives. Their life expectancy was increasing in fact faster than the population as a whole at the same time as the capacity of the community to provide and formal care was declining. In the midst of the advances there was an emerging crisis where even though governments were spending much more on disability services, the funding just didn't keep pace with the growth in demand. I became interested in this in about 2005 when I met a young mother with a child with a disability, who asked me why can't my child get the supports that he needs? That led me to start exploring policy options, and the most significant step for me was that I met with Brian Howe, the former Deputy Prime Minister, now a professorial fellow at the University of Melbourne. He said to me stop thinking about this as welfare, think about it as insurance. My background was in economics and funds management and insurance. So this made immediate sense. Can you tell us about this idea of insurance rather than social security or traditional forms of support? It's insurance in two ways, it's insurance in the sense that every member of the Australian community makes a small contribution and as a result those people who need the scheme will have it available to them. The second aspect that is insurance is that the scheme is designed to maximise lifetime outcomes, minimise lifetime costs, as a fully funded insurance scheme would do. Whereas the welfare model really is a very short-term model which seems to minimise costs over the budget cycle, four or five years at the most. So the scheme is much better aligned with the needs of people with disabilities and their families and carers. Can you tell us something about the intellectual framework therefore for the scheme, how it developed? You've told us that this insight you had from Brian Howe about thinking about it as insurance, but that doesn't get you to the scheme. What's the pathway that allowed the thinking to happen? Well I think the pathway was not straight I guess is the first point, these things never evolve - nation-building reforms don't evolve in a straightforward way. I was fortunate to meet an actuary called John Walsh who'd been working on insurance schemes for people who had been injured; he himself is a quadriplegic. When I asked him about how we might go about this he said look as long as we can get the data we can do it. We were then both fortunate to be appointed to a group called the Disability Investment Group, which was established by Bill Shorten when he was Parliamentary Secretary for people with disabilities. That report made a single recommendation that the government should investigate fully an NDIS with a view to establishing it, which then led to the Productivity Commission work by COAG. But there were also moments of great good fortune. Two friends of mine and I wrote a submission to the 2020 Summit, which you chaired and none of us attended, but somehow or other this idea became one of the big ideas from that summit. In fact it's the only idea from that summit that's in any way changing Australia, and I coined the term NDIS for that summit. So I think these things require good fortune, they require luck, they require sophisticated policy thinking. But in this case there were two additional elements, this was a community-led reform so it came from outside government. It did two things, it united the disability sector, having been deeply divided, because it became the single claim of the sector, and it also tapped into a deep vein of decency in the Australian community where people believe that people with disabilities, like all Australians, deserve a fair go. Helen, can you tell us something about how the NDIS sits into the broader domain of government policies to deal with social support, and why are we getting this now? So as we've already talked about, you talked about it in your introduction, the statistics about quality of life outcomes for people with disabilities compared to those without. We know that if you have a disability you're less likely to work, you'll have poorer health outcomes, you're more likely to smoke, to be obese and a whole series of other sorts of things. So as we've talked about, the National Disability Insurance Scheme was seen as being really important in Australia in actually investing in disability services and doing something about the state of outcomes for people with disabilities. So it's a wide scheme in a number of ways, it affects everybody in some ways and not just as Bruce said because everybody in the population pays for it. One of the mantras around the scheme and getting support for it was around the fact that at some point all of us will be affected by disability either because we will experience it personally or somebody in our family or friendship group, that's the reality of life. So only about 10 per cent of people with disabilities will actually get the funding part of the NDIS. So just under 10 per cent of people with disabilities will receive individual funding to design their own services and support their daily activities of life. Then there's another big bit of the NDIS which is about really supporting other people with disabilities. Also mainstream society to produce a more inclusive community so that people are more welcome in mainstream services, but also are more likely to get into education and employment and those other aspects. When we think about the NDIS I think there are three key policy aspects that are highly innovative. One is the insurance aspect, so framing this as a long-term support arrangement where we invest in people with disabilities to maximise their long-term outcomes. The second is, as Helen has said, that this is about people with disabilities being part of community and making sure that we're not just talking about specialist services but we're also talking about mainstream services and the health and the education and transport systems are all inclusive of people with disabilities. 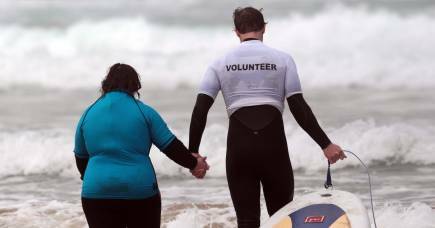 The NDIS is making a major investment in community capacity building through a system called Local Area Coordination, which was developed in Western Australia and has had great success in building that local capacity so that quality life is based on both enough government funding and good family and friendship support. It's not all about government funding and it's not all about families, one has to get to a point of balance. Then the third aspect that I think is critical is that this scheme does not give the funding to disability service providers, the funding goes to people with disabilities and they're free to choose. So for the first time we're harnessing markets to serve people with disabilities, and it's those three things in combination I think that make this reform so significant and so innovative and increasingly of worldwide interest. Helen, you mentioned around 10 per cent of people will design their own services. Can you take us through that and how that works, how this breaks the pattern of how we currently support disability? These are individuals who've been identified as having a lifelong limited disability in some way. So they're the people who are most severely disabled within our communities meet the criteria for this part of the scheme. So essentially what happens is you go through a planning process to start with where you identify the sorts of issues that are important to you in terms of your life, the sorts of goals that you'd like to achieve, and through a planner work through that process of what sorts of services you might need to support that. Essentially an amount of funding is made available to you to do that with and with your planner you work out which services will be used and how you'll bring those in. That's done in some different ways, other people have service coordinators who might come into that conversation, and family and friends will be an important part of that conversation as well. So you go through this planning process and then you've determined your budget that's available to you and then you work to decide which services will be right for you to do that. So Bruce, you described this as bringing market principles. Can you elaborate? Obviously in a market it's much more normal for prices to be deregulated and with price deregulation you get different quality of services and potentially much more innovation. I think the issue of pricing needs to be set in the context of what we're doing here, which as you said in your introduction, Glyn, we're more than doubling the level of funding for people with disabilities through the introduction of the NDIS. We're at the same time moving from a system that was block funded, so service providers were funded directly by government to one where now the individuals have the funding. So you've got very substantial growth combined with major structural adjustment, and in essence a fixed budget to work within in the sense that no one wants to see the costs of this scheme blow out from the $22 billion. When I was chair of the NDIA, we decided that we needed to set prices as a means of ensuring that we could simultaneously manage the growth and manage the structural adjustment. I think the truth of the matter is that the original work, with the benefit of hindsight, didn't pay enough attention to the structural adjustment issues for the sector. This is a massive change, and as a result I think insufficient resources have been devoted to the issue of structural adjustment and the accountabilities around that have been quite blurred between the NDIA, Commonwealth Government, State Government and their various departments. I think one of the most critical challenges facing the NDIS is how that structural adjustment is facilitated. Up to now it hasn't been a particularly big issue because the growth has been relatively modest, but the real growth is now underway. So facilitating that structural adjustment is an essential step and it needs to be done with considerable urgency. What about the responsibility for the provision of last resort? I think let me just step back a moment. I think when you think about the NDIS and where is it going to work best, it's going to work best with people with disability who have high intellectual function, who are able to make decisions about control and choice themselves and communicate and actualise them easily. It then works also best where people have strong family and friendship support networks because of quality of life requires both. It works best in metropolitan areas where there's diverse supply. The moment you start to weaken any of those three, then you need to build support arrangements to ensure that the scheme delivers on its promise. One of those areas is what happens in regional, rural and then ultimately remote and very remote parts of Australia. The agency is able to bulk purchase supports, and so it could for example enter an arrangement with a particular provider in order to ensure services in a particular area. But it's a step that I think one needs to take with a great deal of caution, because the moment you appoint someone as the provider of last resort in that area then no other providers are going to enter that market, but the agency has that capacity. There's also capacity, and I think it's very important not to just think about the NDIS in isolation. Because when you go to those remote communities you really need a community by community approach to how to build supports. So in some communities you've got a very well run Aboriginal controlled health and medical service and you can build on the back of that. In others it's an aged care service. So I think building provider of last resort arrangements is necessary but it requires quite a careful and targeted response. I think Bruce is right, there's a number of areas geographically and service areas that we can predict will likely be under-served because of the nature of the markets that there are. But we're also seeing some others emerge at the moment as well even in those areas that are relatively well served by providers. One of the things that we need to have very careful thought about is probably about the fact that we might be allowing individuals more choice over the services that they choose, but providers also have choice over the individuals that they work with as well. So there's been quite a few instances recently where people with quite high levels of need, they're often people with intellectual disabilities and sometimes they have behavioural challenges, providers are saying, actually for the amount of money that's available for that service, we can't provide what's needed for those. So we're seeing examples in the media of where families are having to relinquish the care of their children because they can't find providers who will take those. Thankfully they're very small in number at the moment and I know that the NDIA, I know Bruce and others have been working with different state governments to stop those things from arising. But the reality is that where we talk about more choice it's not just more choice for individuals with disabilities, it's also potentially more choice for providers as well. I think Helen's picked up on a really important point. Part of it is providers being able to now choose who their clients are. The last thing we would want to see here is the NDIS only serving people who are less complex. It was brought in to serve the people with the most significant disabilities and so that would be a form of market failure that would need to be addressed. Part of it I think relates to the workforce challenges, which is something we haven't touched on. But the NDIS will lead to 70,000 to 90,000 full time equivalent jobs, and it's really important that the people who come and are attracted to working with people with disabilities, come with the right attitudes and mindset. Part of that is recognising that the person with disability needs to be treated with respect and that they are the ultimate client, even if they are non-verbal. It's important that everyone who's in the NDIS has an opportunity to reach their potential, and so investing in them is also important, and respecting their wishes is also important. We shouldn't assume that people necessarily want to socialise or want to socialise when the care worker wants them to socialise, that they do have some choices here. So building a workforce with the requisite attitude and then the requisite skill in positive behaviour support or whatever it might be, is a very important requirement. That is clearly lagging behind the pace at which the scheme is rolling out. The workforce issues are broader than the NDIS. I think that in many ways the NDIS is leading a whole lot of reforms in the sense that it's embedding human services in a long-term framework, it's embedding it in a market framework and it's embedding it in a rights framework. If we don't understand that for all of human services and learn from the NDIS and extend that into health and other areas of human services, we as a nation I think are missing a major opportunity. Helen, you're involved in a very interesting research project at the University of Melbourne's Social Equity Institute. It's called Choice Control and the NDIS and it goes exactly to the question you raised, what's the experience of people in the system? What's the experience of people with disabilities? You involve them in every aspect of the study, they designed it, collecting data, writing up and disseminating the results. So when you talk to people and we're very early into a new scheme, what are the sort of perspectives that are coming to the fore? We thought it was really important to do this work because there's quite a few different pieces of research and lots of stories about the NDIS, about different bits of the system. But we felt that the voice of people with disabilities wasn't in there sufficiently strongly. So we designed this piece of research to really engage people with disabilities in the research, both as respondents and as you say as co-producers of that work. In total we had about 42 people, individuals with disabilities and in some cases their families involved in this research, in the Barwon area and as you say in very early stages of the roll-out. We had a wide variety of different disabilities, so we had younger people and people who were older, we had intellectual disabilities, physical disabilities, a whole range. So unsurprisingly we found really different experiences. You would always do that if you have a really mixed group. Broadly we talk about it as being in terms of three different groups of people within that though. So the first group was this is great, okay so people said we got funding for the first time for things that we never got support for before, we didn't get a bunch of support before and now we have access to a lot of things. We had waiting lists before, they've disappeared. This is fantastic, it's really supporting us in our life. We had a group of people who said there's some really good things about it but there's also some challenges in making a reality of it. There was another group who said this has been a real challenge for us, this has had a really negative impact in some ways on our lives, despite the fact that it's given us in some cases some more funding and some more choice to choose providers as well. So when people told us about the challenges in those services, often it was things like the planning process wasn't very effective, and we've heard this not just from our research but from a few different organisations who've looked into this. Some of this is a reflection of the speed with which the NDIS had to ramp up. So it's started in a relatively slow and steady way, got to about 30,000 people around the country who were signed up to the scheme. At which point there was a lot of negative reporting in the press and a lot of concerns that the speed of the roll-out wasn't keeping pace with what had been intended of it. So new planning processes were brought in, some of those weren't face-to-face, they were by phone and things like that. The number of people registered on the scheme jumped from being about 30,000 to I think about 110,000 in quite a quick amount of time. That took its toll on those planning processes for some people. Some people told us it was a more bureaucratic sort of system, that they found themselves having to do much more paperwork and were finding the system really difficult to navigate. Others told us that they felt that they weren't being trusted to make decisions about their services, and so there were a couple of examples of this that were in the report. But because the planners have different levels of skill and qualification in respect to disability, often some of them are very reliant on going to other professionals for assessments to decide whether something is reasonable or necessarily. So what this can mean is quite small pieces of equipment or services that are relatively inexpensive, you then need to be assessed by an occupational therapist or another professional to decide if they're necessary. So it makes it both inefficient in terms of a system but also makes the individual who has supposedly got choice and control, feel like they're not being trusted within that system. Now to be fair to the NDIA, since we did that research, which was less than a year ago, a number of those items that have been picked up have now actually been looked at and they've changed practices around that. So it is clear that some things are being listened to in that respect. I'd like to hear from someone who's a client of the NDIS and who's been closely involved with it. So we recently spoke to Georgia Katsikis, who's one of the community researchers who was involved in the Choice Control NDIS study with Helen Dickinson. Georgia acquired a spinal cord injury later in life that led to her having partial quadriplegia. Let's have a quick listen to what Georgia says about the costs of the NDIS. How much is your life worth? That would be my answer. I understand that everything costs money, I do. And I am grateful that the Australian government cares about people and is doing all that it can do, but when I hear someone saying, well you can’t do this because it costs that much – how much does your life cost? How much do your legs cost? My wheelchair is my legs. I can’t put a price on that. I think when we speak about costs and money we forget that we are talking about lives. There at its core is the issue that the NDIS is seeking to address. Helen, as you look on the scheme, compare it to Britain and think about we're very early in a long journey, your preliminary reflections? Difficult to compare in some senses because they are slightly different schemes. I think one of the really sad things that's probably happened in the English scheme is the cuts to public services that have come about in 2010 have meant there's been substantial reductions around spending in terms of disability services and social care in general. It is very relevant in terms of the costs because essentially that scheme has moved from being this is your level of impairment, therefore this is the proportion of funds that you should have available to you. To it has moved to being - well we understand that this is your level of impairment, this is your percentage of our overall funds that we're able to make available to you. So there have been really significant reductions in care funding, and that's led to some real challenges for people with disabilities, in navigating that sort of system. Australia's in quite a different position, which is an incredibly good thing. The amount of funding that's going into this scheme at the moment is fantastic and absolutely needed to improve disability services and the life of people with disabilities in Australia. I guess the thing that we need to make sure that happens is that people don't see what are some of the inevitable teething problems around the system as indicating that the overall scheme has failed. Bruce will understand this far more than I do, but whenever we do a piece of research into the NDIS and we raise, as you inevitably do with academic work, positives and negatives, the media immediately seizes on the negatives and want you to sensationalise and say well this of course means that the entire scheme hasn't worked and that we should scrap it and start again. I don't think anybody thinks that that should be the case, but I think what we've got to be able to do is keep up the pace of reform, but also recognise the need to change as we go along. All while doing the really complex process is remember to listen to the voices of people with disabilities, so people like Georgia and what they're saying to us in terms of feedback. In the research that we did for the Social Equity Institute recently, when we asked people what's the one thing you would say to the Minister with the responsibility of the NDIS if they were sat in front of you now? Ninety-nine per cent of people said please listen to us more. I think that's a really compelling thing and I think that's a thing that can be all too often too easy to miss when we're making really difficult and complex decisions is to forget about the people who are at the sharp end of the system. Thank you, Helen. Bruce, I've watched with admiration for a decade or more as you've steered this extraordinarily complex change through. I'm sure you'd be the first to say we've only come a short way and we've got a long way to go, but what happens next? What do we need to see in the long run to make sure this is a profound success? I think what's needed falls into two broad categories. I think the first is I think to recognise the extraordinary challenge and pressures that the NDIA is under. This is a nation building reform, 84 per cent of people regard their experience as satisfactory or very satisfactory. I don't know of any major public policy reform that has achieved and is achieving those sorts of satisfaction levels. I would say at this year's Economic and Social Outlook Conference, the former chair of the Productivity Commission, Gary Banks, he presented a policy score card which ranked the NDIS as the single most successful policy program in Australia in the last 10 years. Well Gary is a hard marker, so to have it marked that way I think says something very significant about the NDIS. Of course the Productivity Commission under his leadership played a critical role in the scheme's design and development. But having said that, we need to recognise the extraordinary opportunity that the Australian people have given us. They have said we are prepared to fund support for people with disabilities on a needs basis and using a long-term framework which involves investment. I think one critical element is that as the NDIA rolls out the scheme, that co-design and co-production is front and centre. It's important to remember that this scheme came from people with disabilities, it came from the sector, it was the unity of the sector that led to this scheme. This is community and social innovation at its very best and we need to make sure that as the scheme develops and evolves that that grass roots involvement in co-design and co-production remains front and centre. And that the pace at which this is rolling out doesn't overwhelm that commitment to co-production. Let me say having been on the inside it's very easy when you've got targets to ignore that. So I think that's a very important element. The agency will over the next few years I think be fully absorbed by the enormous challenge of bringing in 460,000 people. So we're at 113,000 now, so there's still a long way to go, and making sure that the supports they receive truly meet that reasonable and necessary definition. That's an evolving definition as we change our views, as the data's collected as to what represents best practice. So the review process will be very, very important in order to make sure that the $22 billion continues to be the best estimate of the scheme costs. It's very, very important I think in terms of the commitment to the Australian public that they feel that the scheme is well managed. There's so much more I'd like to ask but for the moment I'll have to say thank you to my guests today, Bruce Bonyhady, disability campaigner, former chair of the NDIA, thank you Bruce. To Helen Dickinson, Associate Professor in public service research at UNSW, Helen, thank you. Thank you for listening to The Policy Shop. This episode of The Policy Shop was produced by Ruby Schwartz and Eoin Hahessy, with audio engineering by Gavin Nebauer. Licensed under Creative Commons, copyright the University of Melbourne, 2017. The National Disability Insurance Scheme (NDIS) is the largest social reform Australia has seen in decades. It aims to provide support to about 460,000 Australians living with disabilities. At full operation, disabilities services funding will more than double under the NDIS, to $22 billion a year – almost the cost of Medicare. This new scheme hopes to reverse Australia’s poor track record on disability rights, once ranked last in an OECD study of quality of life of people with disabilities. In this episode, former Chair of the NDIA, Bruce Bonyhady and Associate Professor at UNSW, Helen Dickinson discuss how this policy came to be, the scheme’s rollout, and whether the NDIS will in fact improve the livelihood of people living with disabilities in Australia. Subscribe to The Policy Shop through iTunes or RSS.